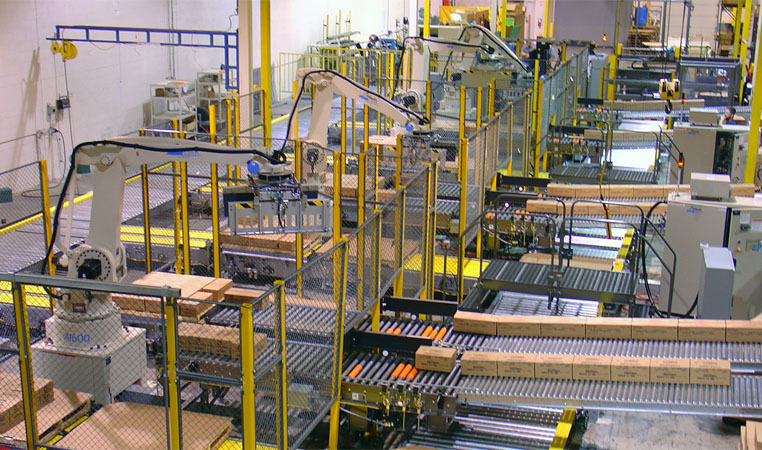 A flexible palletizing system can enhance your throughput, reduce your costs, and improve your safety. Columbia/Okura's after hours support is top notch! Not only did they walk me through an error message we were receiving, but they also called me back the next day to make sure the system was running. 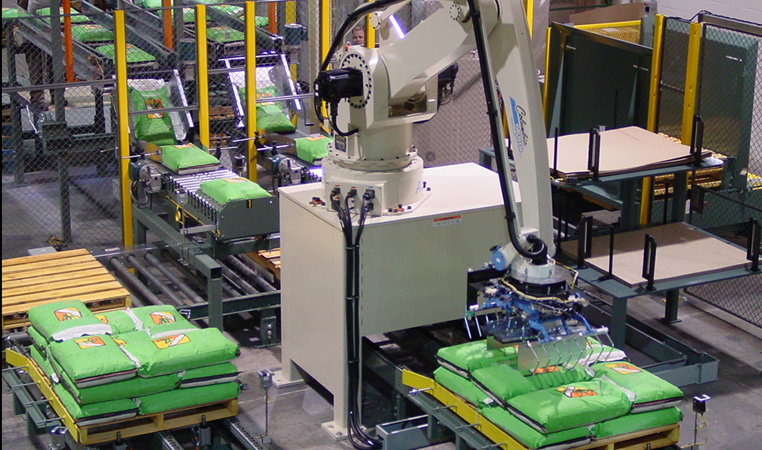 Our robotic palletizers can handle virtually any type of bag. 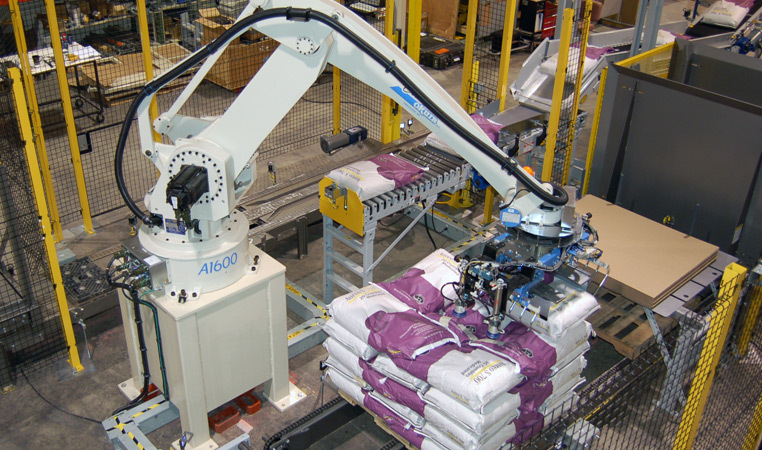 We have proven ourselves as robotic bag palletizing experts. 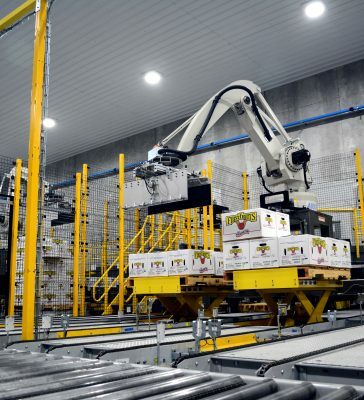 Whether you are looking for a higher production rate or need more flexibility, our systems have been designed to address almost any application. Our systems can handle open-mouth, valve and poly bags with zero changeover time. Watch the video to see a variety of systems we have done over the past year. If load compression and 4-sided load constraint is critical, our hybrid stacking bin is the solution for you. There are many different ways to stack your product, watch the video to see how our two line system stacks bags. "I wanted to share my appreciation for meeting our performance and service expectations with the recent automation project. I have to admit that there was a certain degree of anxiety as we were exploring new territory with all the elements and not knowing if it would work. The quality of work was uniformly high from start to finish and your team looked beyond the current context while trying to preserve operational efficiency. Your team delivered results!" No job is too big or small for our robots. 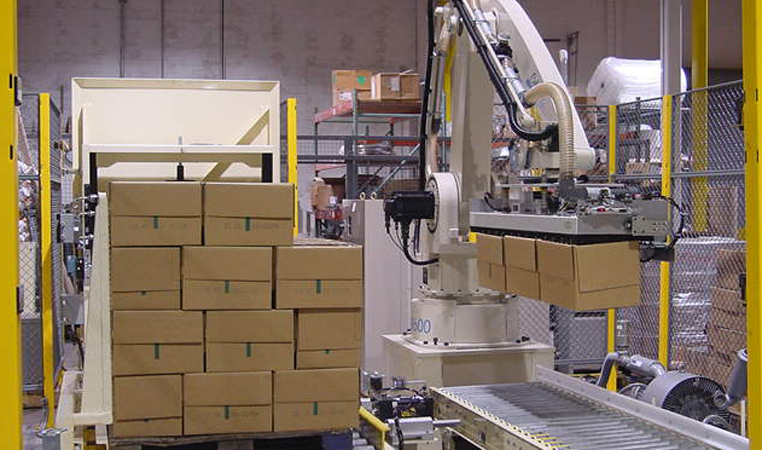 Our robotic case palletizing systems handle a wide range of case types and sizes including RSC, HSC, telescoping and Kraft bundles or poly bundles. 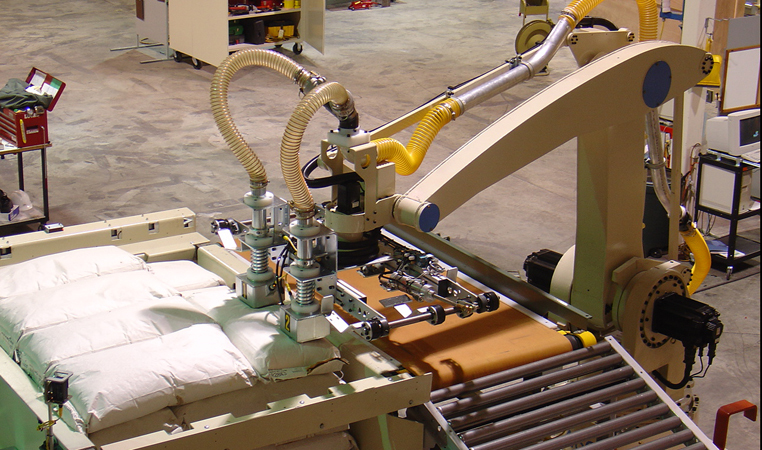 Trays, totes, and pallets are palletized with similar tools. Have a variety of different size boxes? 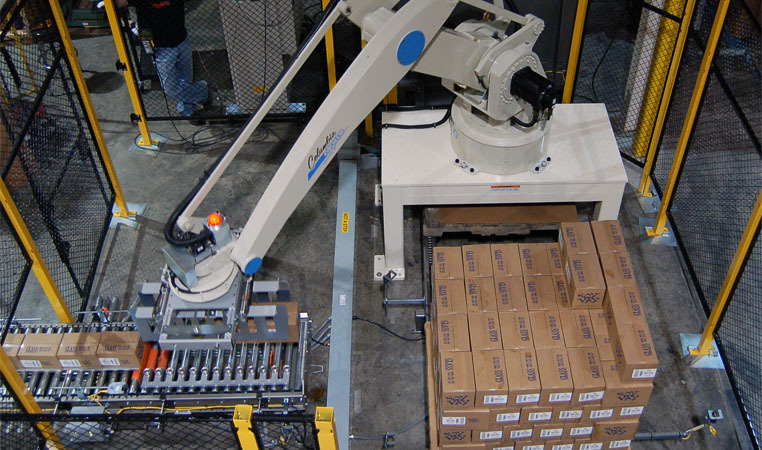 Our robots can handle up to 4 lines, each with a different SKU on each line. Two line case system with clamp style end of arm tool. 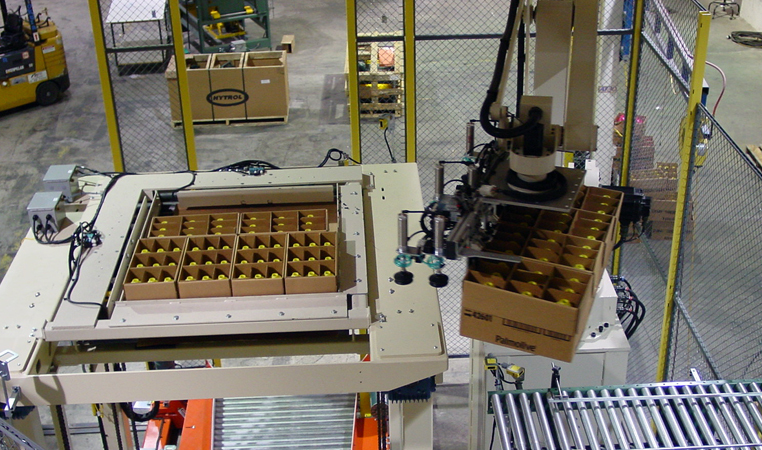 Multi-Pick vacuum tool case handling line. 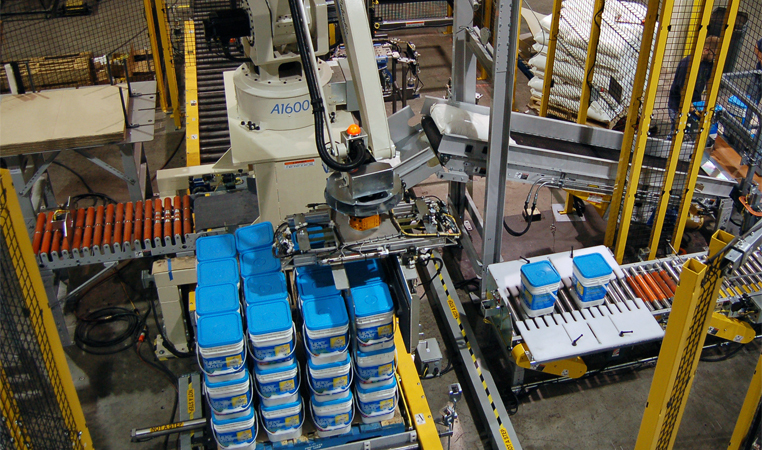 Pails & drums of all shapes and sizes are palletized with mechanical and vacuum tools. 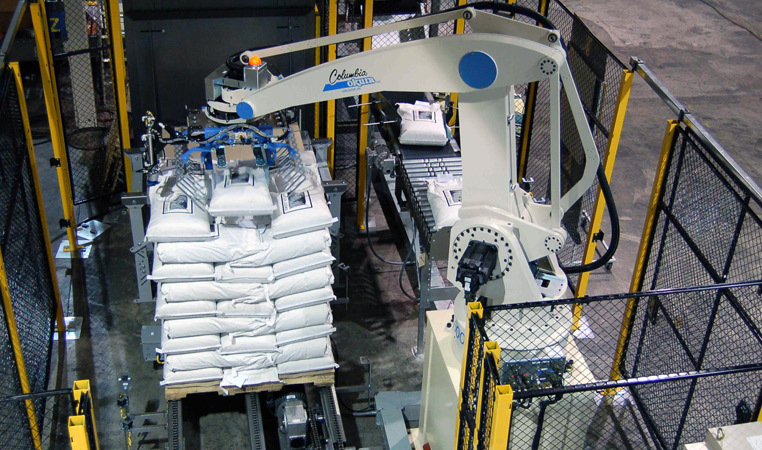 Columbia/Okura will apply the right tool for your pail palletizing needs. See a variety of tooling examples below. View examples of our vacuum end effector. Need your product stacked quickly? Let our robot do the work. Do you have different products that need to be stacked? Watch the video to see how we do it. Let us take on the labor-intensive task of unloading products from your pallets. 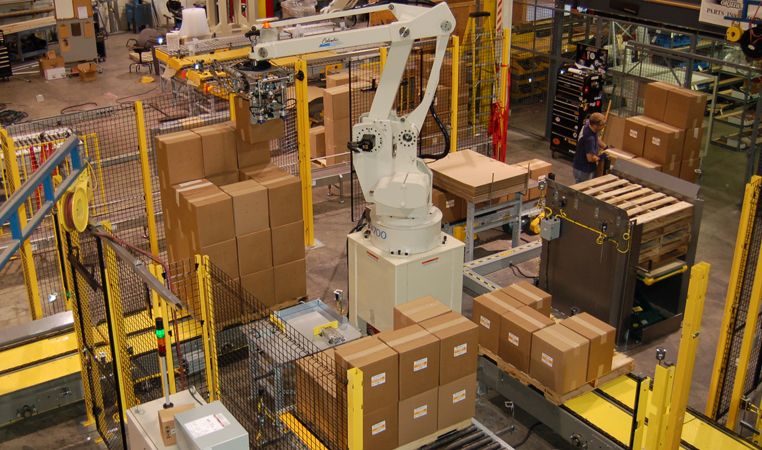 Our solution is designed to provide ergonomic alternatives to manual depalletizing. Need a fast and easy way to empty your cases? Watch this video to see how simple it is. To much to unload? Let the robot do the work for you. Looking for a different way to unload a very tall stack? 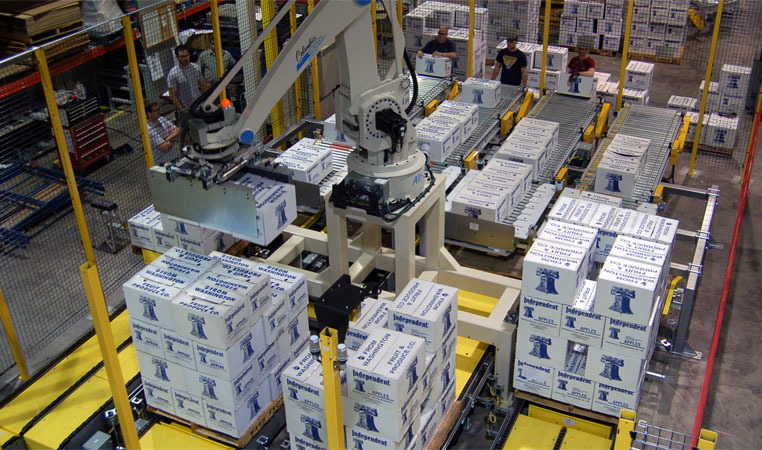 Where multiple lines or more than one robot are required, Columbia/Okura has the experience for you. 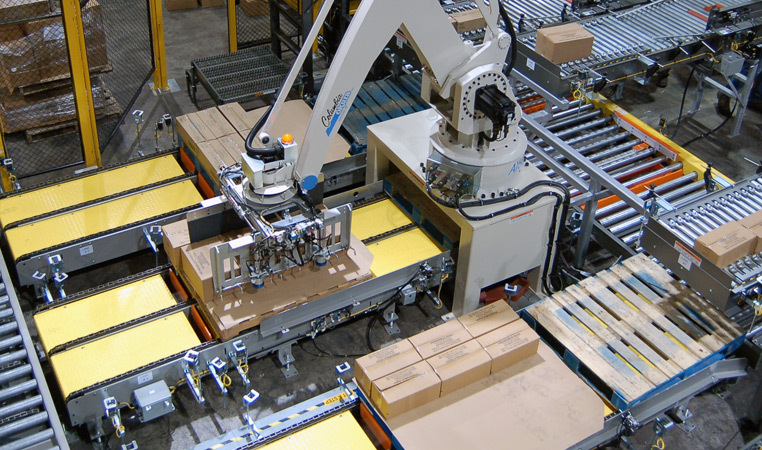 Our palletizer solutions allow a single robot to manage the output of four lines concurrently. 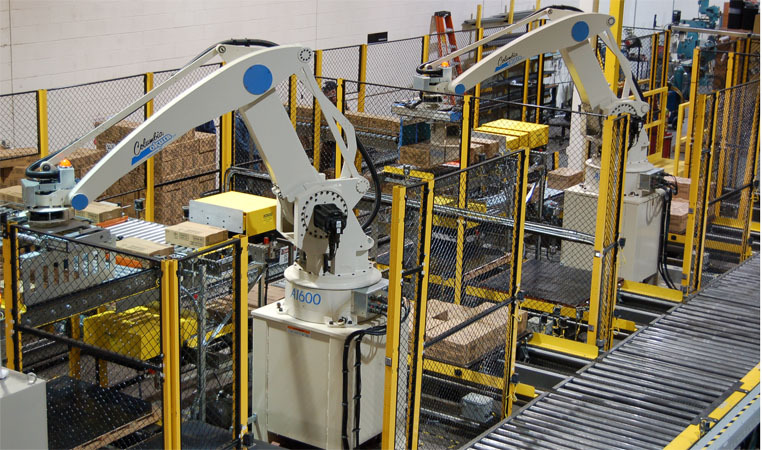 Utilizing our standard end effectors, the robot is able to accommodate varying product sizes and package types with a single tool. Watch this video to see a multi-line case system that gets the job done. Have four different size cases? No worries, watch this video and see how successful we stack a variety of products. Need to stack your load high? Watch this video to show how our system adapts to height requirements. 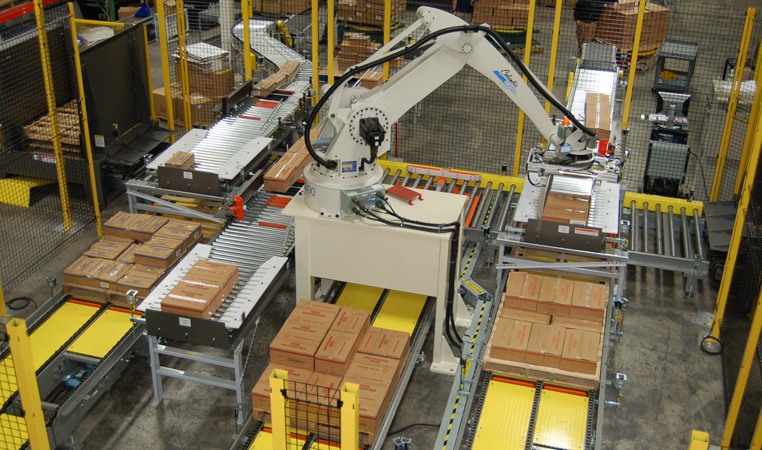 When standard products do not fit your requirements, we will design a custom palletizing system to meet your needs. Is your product unique and does not fit into a traditional category? Share your project goals and packaging details. We are excited to evaluate a custom solution. Is your product unstable? Do you transport your products long distances? A stack and wrap palletizer may fit your needs. Do you need gentle load handling? This fork style end effector minimizes drop height. Learn about handling irregular products in this video.